A website is an important asset when it comes to growing the business of a company. It can both attract the right kind of target audience for it as well as facilitate the actual sales transactions. Therefore, having the right kind of website becomes exceedingly important. For that, one needs to hire the services of a web designer who’s not only good at their job, but is able to understand your requirements to the T.
The best way of checking out the capability of a prospective web design company is by having a look at their body of work. Additionally, references and client testimonials can be asked for to determine the pedigree of the prospective web designer or web Design Company. What you also very importantly need to find out is the scope of the services offered. Do they cover the entire gamut, including graphic design, web development, web hosting, domain registration, SEO, and so on? This leads to another important factor, that of price. Lastly, and critically, there should be synergy between the web design team and their client in terms of what final shape the website shall assume. 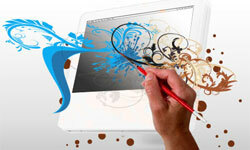 Merely having a website does not amount to much unless it has been primed to perform for your business. This means that we have to be certain that the website has the essential ingredients for success. One of the important things in a website is the tools that are being deployed. Only work with those designers who can hand-code a page. This is because using a WYSIWYG (What you see is what you get) tool can get a business into trouble on account of not being able to hand-code. The graphics, too, ought to be of the top drawer because your website’s appearance is an extremely important factor in drawing in traffic. Similarly, the site architecture has to be professionally handled, as no business would want to deal with unintentional information leaks, which you could do without. Security again is something which is absolutely sacrosanct and can’t be left to an amateur. It is incredible, the importance a website has assumed in an organisation’s business plans, considering that not very long ago websites were nothing more than a curious novelty. Given the growth of broadband penetration all over the world and the accompanying growth of e commerce, the importance of web designing is only going to increase with each passing day. However, the level of sophistication displayed by web designers will largely determine their success in the days to come. This is where the skills of companies like Ecommerce web designers UK will matter a lot. With more and more features being embedded in websites to facilitate marketing and ecommerce, this will be an exciting space to watch. Dorothea Bryant is a freelance writer, and she has written several reviews on companies like Ecommerce web designers UK. Therefore top place in search engines like Google, Yahoo & MSN is very vital for increasing your business and overcoming your rival in the competition. SEO Services, Website Development & Designing Company.